This unique poster illustrates the fine art of Paul Chase. Many of the pictured paintings have actual guitars embedded in the surface, then painted over with a contemporary "graphic guitars" design. 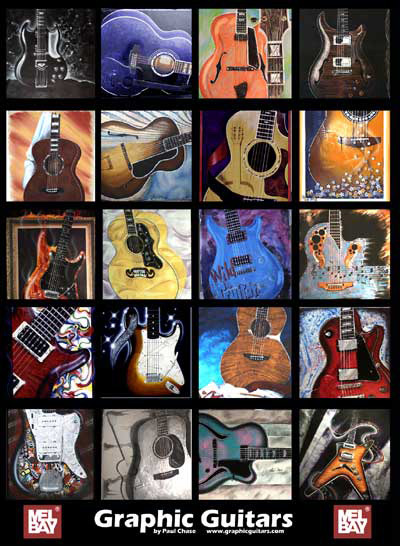 Traditional methods such as colored pencil, pastels, mixed media, enamels and acrylic are also used to create the guitar paintings.